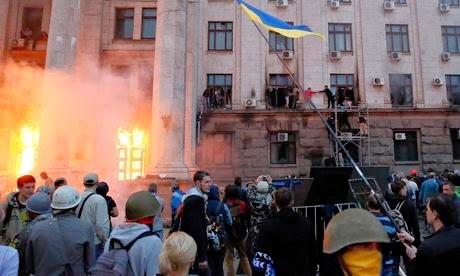 Image: Neo-Nazis light Trade Union House ablaze, killing 30+ in Odessa. 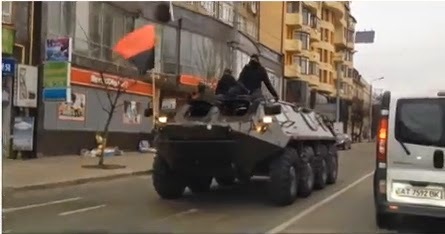 armored personnel carrier in Ukraine. . Right Sector can be identified by its members openly wearing Nazi insignia, as well as carrying crimson and black banners. Mobs supporting the Svoboda party are also present among recent clashes, wearing yellow armbands with the Nazi wolfsangel symbol upon them.